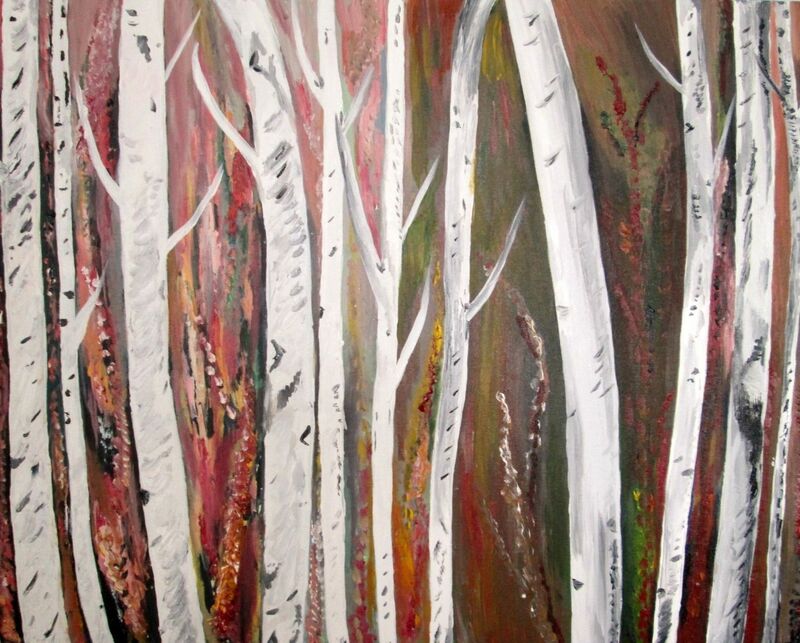 'Birch Tree' is an original painting by Lisa Marie Gunderson. 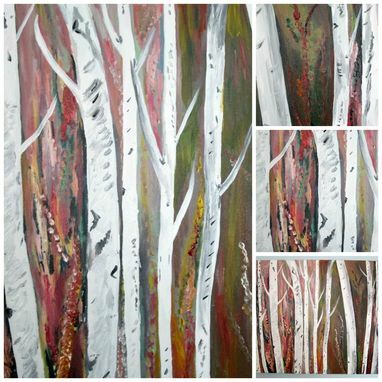 It is inspired by three seasons: spring, summer, and fall. The complex color combinations consist of shades of orange, red, pink, yellow, and even hints of mint and lavender. These background colors break away from realism, inviting the viewer to dwell in thought and enjoyment, while experiencing tranquility. These graceful birch trees, with a modern twist, will be a statement for any room. 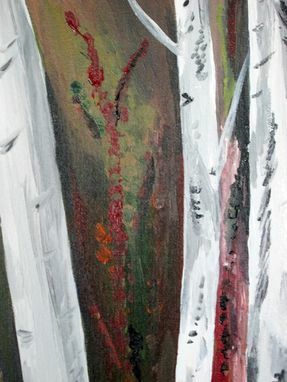 Materials used are acrylic on canvas. Sides are fully finished. Back wire is attached for easy hanging. Additional sizes and color variations are available upon request. For protective purposes, it is coated with a matte UV archival varnish.